www.janetcharltonshollywood.com Want more details? Visit my bio and click on link! » Lookin’ Good! Ray Liotta’s got his hair slicked back and he’s ready to start work on The Many Saints of Newark. The prequel to The Sopranos takes place in the 1960’s in Newark when there was bad blood between African Americans and Italians. Liotta happened to grow up in Newark in the 60’s and he remembers. 27 of the cast members who appeared in Goodfellas with Liotta have been cast in the Newark film. Ray’s exact role has not been revealed, but James Gandolfini’s son Michael, 19, is playing Tony Soprano as a young man. Olivia Wilde is in New York enjoying fashion week and she looks as good as any of the models! We were surprised to learn that Olivia is a natural blonde and she has always darkened her hair because she “felt more like a brunette.” As a blonde, she claims, people assumed she wasn’t very smart. She was smart enough to marry SNL comic Jason Sudeikis eight years ago , and they have two children. One glance at this photo of Chris Pine looking quite snazzy and relatively clean-shaven, and we assumed he’s been working on a project that takes place in the 1950’s. We were RIGHT- he’s promoting his TNT drama I Am the Night, directed by Wonder Woman’s Patty Jenkins. It’s inspired by a true story about an adopted teen living in Reno who makes an astonishing discovery about her past that causes her to go to LA to find her real family, thus opening a huge can of worms. Chris Pine plays a reporter obsessed with her story – unlike many actors, Chris has no ego problems with playing second fiddle to a female lead. Filed Under: Chris Pine > I Am the Night > Lookin' Good! 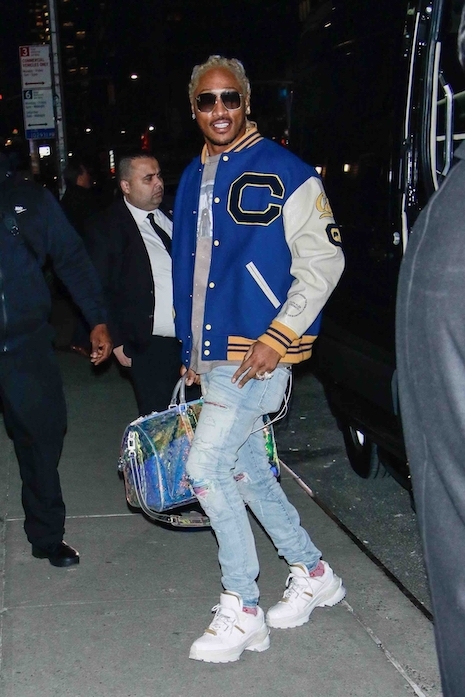 Filed Under: Future > Lookin' Good! Ernie Hudson just looked so handsome in this photo that we couldn’t pass it by. Did you know this Ghostbusters star graduated from Yale School of Drama? 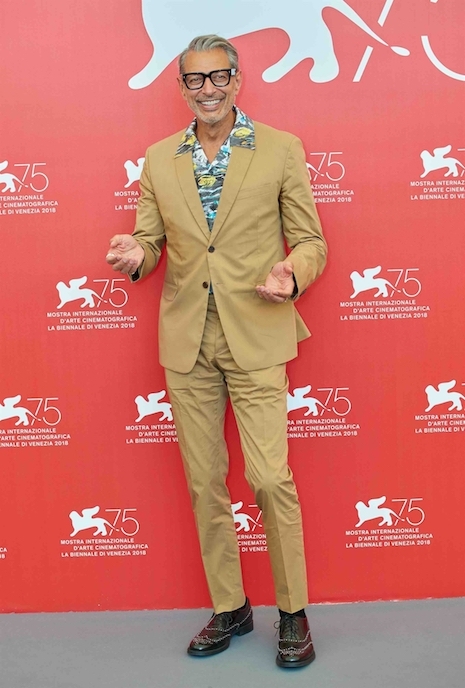 Recently he’s been appearing on Grace & Frankie as an organic farmer and love interest for Frankie. Ernie has a new TV drama series for Charter Communications, L.A.’S Finest – it‘s based on the Bad Boys film series. Gabrielle Union and Jessica Alba star as mismatched partners on the LA police force. 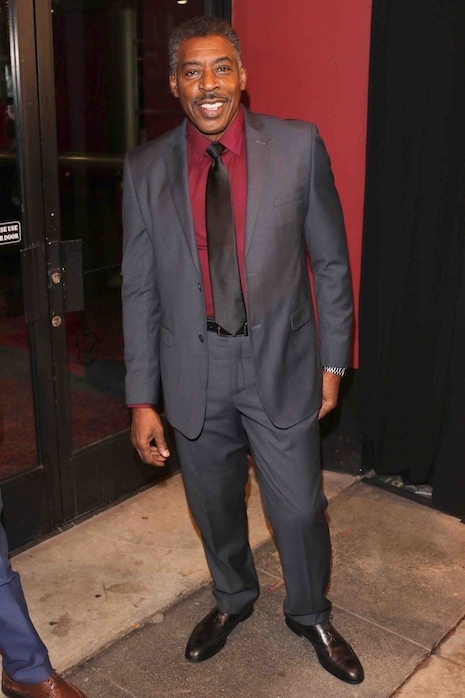 Filed Under: Ernie Hudson > Ghostbusters > L.A.'s Finest > Lookin' Good! When is the last time you saw a REALLY HANDSOME man? 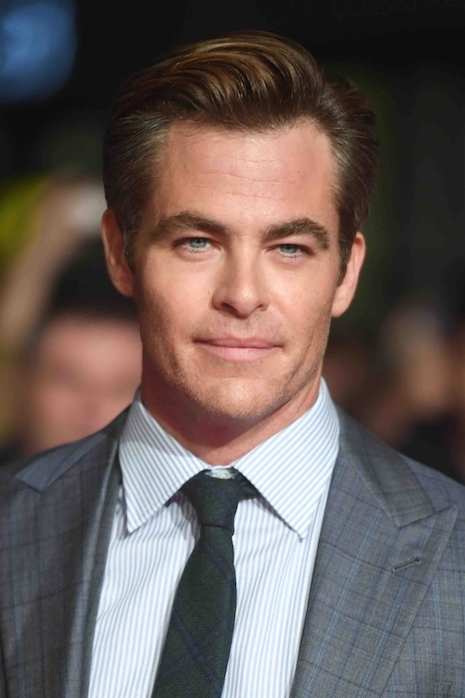 In a sea of baseball caps and beards, a looker of Chris Pine’s caliber is a rare find. Nice to see him cleaned up for the London premier of his movie Outlaw King. Chris is very under the radar when it comes to his private life, and it’s entirely possible you didn’t know he has a girlfriend. He was first seen with British actress Annabelle Wallis in April, and they’ve been together ever since. She’s met Chris’s parents – they vacationed together on a yacht in Italy in August. So this handsome man is taken. Filed Under: Chris Pine > Lookin' Good!